Brazilian President Jair Bolsonaro visited the CIA on Monday as he sought support from the Trump administration for his security agenda on his first official trip to Washington. The three-day visit underscored Bolsonaro's embrace of U.S. influence in Latin America to confront what he calls a communist threat against democracy a theme he remarked on at a dinner on Sunday evening with his ministers and right-wing thinkers. 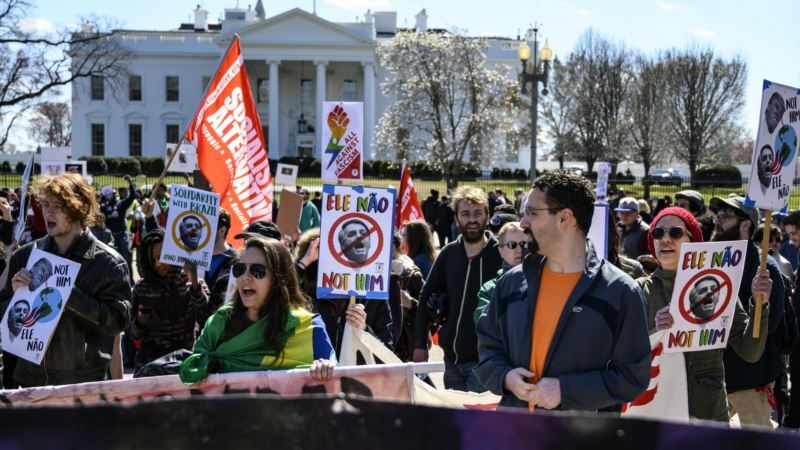 Still, the Brazilians showed little interest in getting caught up in the U.S. trade war with China, which has long since replaced the United States as Brazil's biggest trade partner. Economy Minister Paulo Guedes said on Monday in Washington that friendlier U.S. relations would do nothing to reduce Brazilian trade with China. Bolsonaro was scheduled to meet later on Monday with former Treasury Secretary Hank Paulson and deliver remarks at the U.S. Chamber of Commerce.